TAXILA: Ahead of Eid, the demand for crisp, new currency notes of various denominations for Eidi, is growing. Many traders are using this opportunity to make profits while fake currency notes, especially of Rs100, are circulating the markets. In these last few days of Ramazan, residents of Taxila and Wah Cantt thronged local banks in search of new notes. Others approached currency vendors at pavements in Mughal Market and Lalarukh Market, who are selling new currency notes of Rs10, Rs20 and Rs100. Irshad Ali, a resident of Malikabad, stood in line waiting to acquire new notes from a National Bank branch in Aslam Market. He told Dawn that while both new and old currency notes are equal in worth, new ones are preferred on Eid. “Children like new notes as Eidi,” he said. A buyer, Hafeez Ahmed, said new notes are an Eid tradition and people loved receiving them. “I am an account holder at a private bank and I asked the bank manager for new notes, but he said he has run out,” he said. According to sources in the currency market, each packet contains 100 notes and profit charged on a packet of notes is currently around 10 per cent. However, prices are expected to rise one day before Eid as purchase of new notes peaks on the night before Eid. “Hundreds of people come to buy fresh notes each Eid to present as Eidi to loved ones,” said a shopkeeper in Lalarukh Market. This year, the State Bank of Pakistan introduced an SMS service for facilitating people in acquiring new notes ahead of Eid. 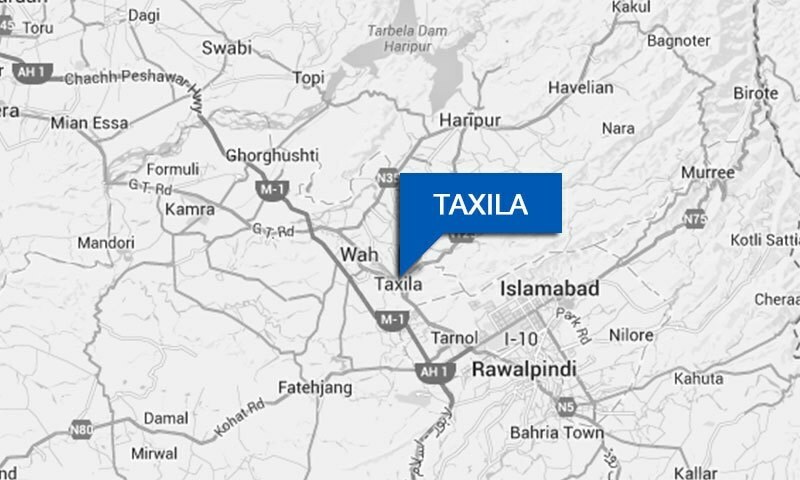 However, in Taxila and Wah Cantt, few people were able to avail the facility as notes are only available at the e-branch in Rawalpindi. Moreover traders and business community told Dawn that some people are using the demand for new notes as an opportunity to circulate fake currency. A trader said fake Rs100 and Rs500 notes are being presented by customers who are unaware that the notes are not genuine. Officials at a bank told Dawn that it is suspected that fake notes are printed in Afghanistan and tribal areas of Pakistan and then smuggled here. They said complaints have been forwarded to the State Bank of Pakistan, regarding fake currency notes.